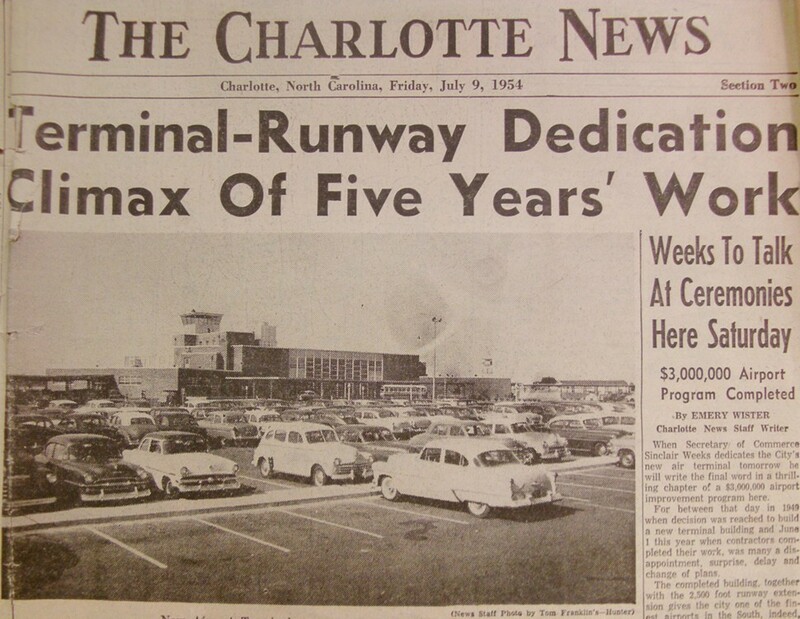 Question the Queen City: What became of the old Charlotte airport? There have been three major airports in Charlotte's history. The first was built in 1936 with regular air service provided by Eastern Airlines. 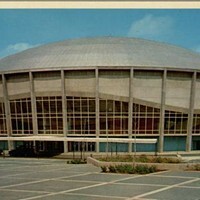 The second - the one your uncle referred to - opened in 1954 and was named after former Charlotte Mayor Ben Elbert Douglas Sr. When Charlotte Douglas Municipal Airport opened, it was heralded as a technological achievement never before seen in the region (capable of handling as many as 13 or 14 planes on the field at once) and considered the Carolina's largest and busiest airport. A 1954 headline from the Charlotte News heralds the opening of the city's new Douglas Municipal Airport. Your curiosity got the best of me, so I hopped in the car and took a ride in the general direction of where I thought the airport was. The streets have changed and it took a bit of exploring, but I found most of it is still there. Armed with my camera and some vague childhood recollection of the old municipal, I turned onto the long drive that leads up to the circle where passengers were dropped off and picked up. I was surprised to see so much intact, although the old control tower has been removed. The former Douglas Municipal Airport main terminal as it stands today. The minimal Internet research I did before I made the trip indicated that the building is now used as office space. The entrance way to the right was armed with some kind of key pad, presumably for security. The other front doors, on the far left, had no key pad and were unlocked. Without any "no trespassing" signs, I couldn't resist some historical exploration. 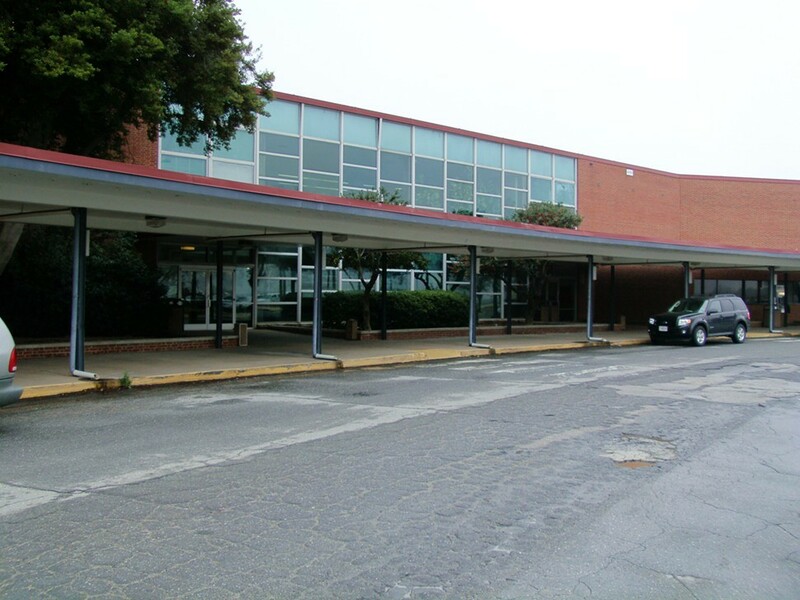 The mid-century modern façade, covered breezeway and lobby are seemingly unchanged from when they were constructed some 60 years ago. 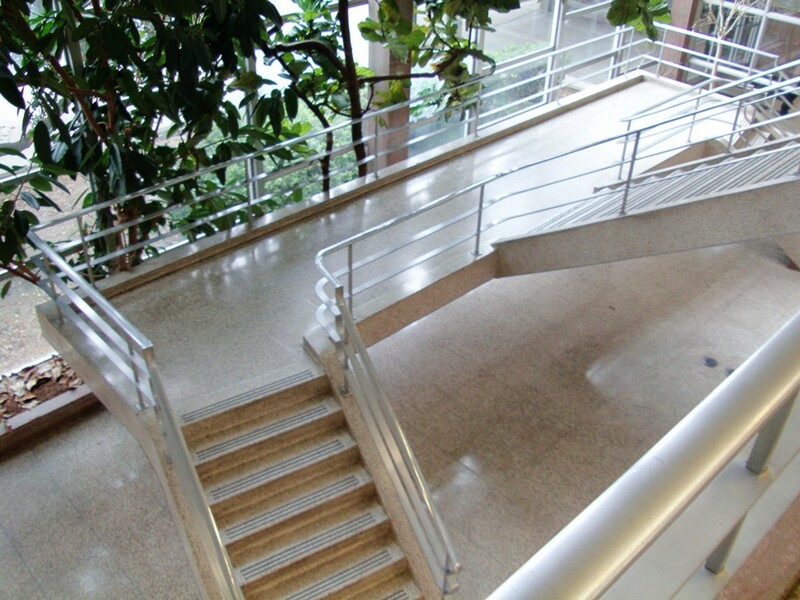 The terrazzo tile floors are still intact, and the massive glazed concrete, terrazzo and chrome deco-inspired free-hanging stairwell is still as striking today as it was so many years ago. The rubber tree plant that I could recall from my childhood has grown nearly 40 feet, towering over the stairwell. The upper and lower mall spaces, which once housed newsstands, coffee and gift shops and dining facilities (that offered "unobscured views of take-offs and landings, to add to your dining pleasure," said the Charlotte Observer) are somewhat ghostly now. Empty dining tables, presumably for the current office workers, fill the space, and the former storefronts have been covered over. Concourses that previously led to boarding gates have been demolished. 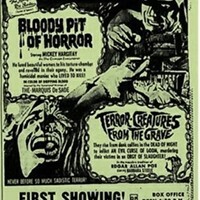 A quick walk-though of the basement revealed a dimly lit space strewn with paperwork from as early as the 1950s. 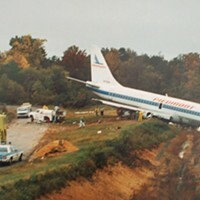 During its more than 35 years of service, only one major civil aviation disaster occurred at Charlotte's Douglas Municipal Airport. On the morning of Sept. 11, 1974, Eastern Air Lines Flight 212, en route from Charleston, S.C., to Chicago with a planned stopover in Charlotte, crashed in dense fog just short of the runway. On board were 78 passengers and four crew members. Seventy one people died; among them the father and two older brothers of Comedy Central talk-show host and South Carolina native Stephen Colbert.